In the village of Latton in Co. Monaghan there has been a progression of four school houses since the first school building was marked on the First Edition Ordnance Survey in the 1840s. The national school featured in this blog post dates to 1941, and was replaced by the modern school building situated closer to the centre of the village. Broadly similar in form and fabric to the school at Gortadooda in Co. Tipperary, this was a standard design by the Board of Works that was used throughout the country in the late 1930s and early 1940s. Now standing in open pasture, the structure is gradually giving way to the elements. To the front of the building there is an inscribed limestone date and name plaque reading ‘Scoil Mhuire Leacht Fhinn Scoil Náisiúnta 1941’. 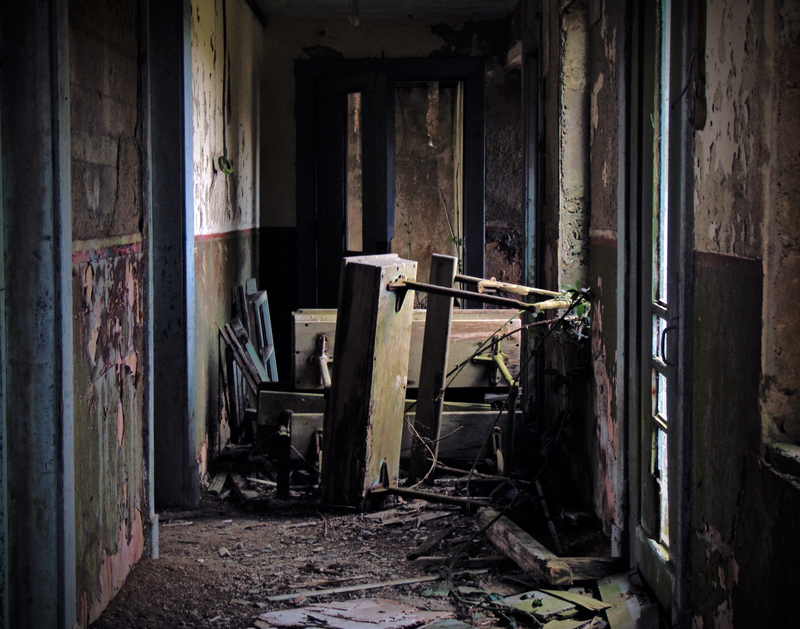 However, inside many of the fixtures and fittings remain, and each classroom retains much of the original furniture giving the environment a particularly spooky feeling. Although in poor condition, it retains its form, scale, and much of the original fabric, and is a reminder of the network of small primary schools provided throughout rural Ireland in the early 20th century, of significant social importance in improving access to education. 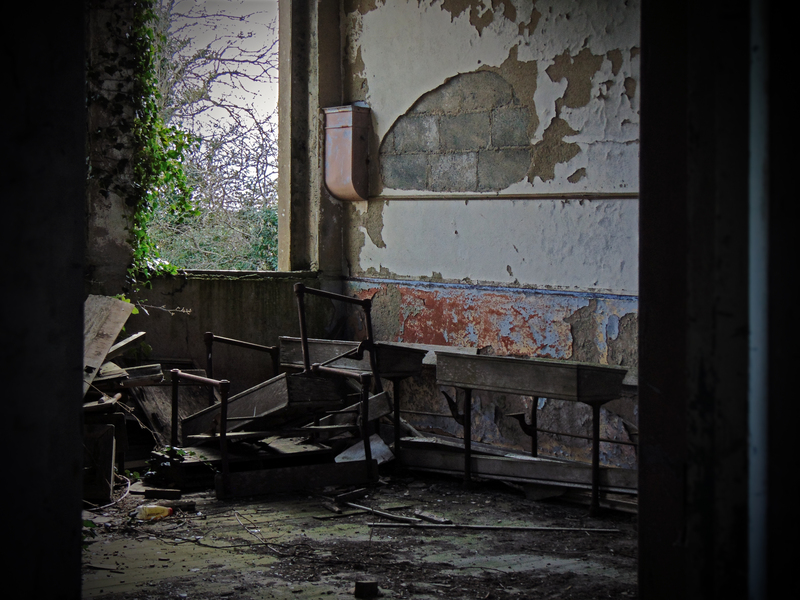 The school building is in poor condition but the furniture remains. 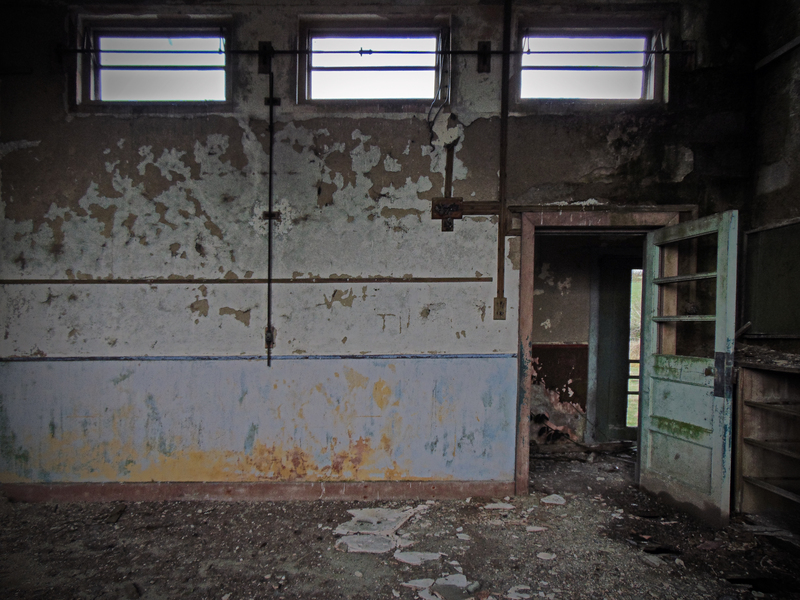 Personally I find the later school buildings from the 50s a little more eerie as they remind me of my own school!